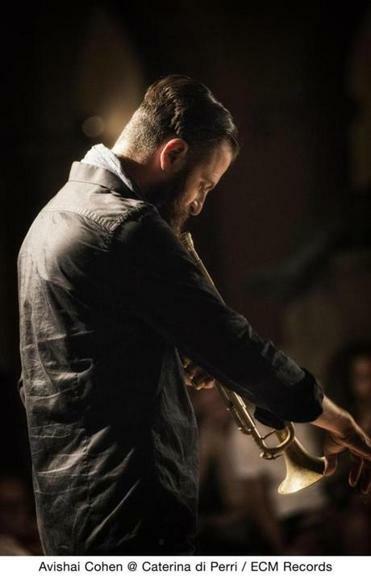 There’s a telling moment from trumpeter Avishai Cohen on Mark Turner’s 2014 ECM release, “Lathe of Heaven.” The album, as the title would imply, has a generally serene mien. In one piece, “Year of the Rabbit,” Cohen is going with that flow, soloing with long tones and lots of space, when suddenly a double-time figure comes bubbling out of his horn, ascending like a profound realization. Cohen and tenor saxophonist Turner, who’d played together off and on for years in SFJazz Collective and other projects, are like two halves of the same personality on that album, finishing each other’s musical sentences. “Lathe of Heaven” led to Cohen’s own ECM debut as a leader, “Into the Silence,” which was released in February. Cohen comes to the Regattabar in support of that album on April 28, with a band that will include pianist Jason Lindner, bassist Tal Mashiach, and drummer Justin Brown. That moment on Turner’s album revealed Cohen as a musician who can submerge himself in a deep meditative space while maintaining a sure grasp of his musical surroundings. Jazz hinges on improvisation, but those improvisations are often filled with internalized licks and rehearsed calculations. Cohen is the real deal: His spontaneous insights deliver surprise after surprise, even as they flow from mindful deliberation of the task at hand. Cohen, 37, is Israeli, the younger brother of reed-playing siblings Yuval and Anat. All went to Berklee, and Anat has become a touring star in her own right. Together, the siblings perform as 3 Cohens. Before the ECM release, Avishai released seven albums as a leader on Anat’s New York-based label, Anzic. These days, with two small children, he’s based in Tel Aviv. The power of silence, what’s left unsaid, recalls another minimalist jazz master, Miles Davis. This also happens to be Cohen’s most Miles-like playing — the Harmon mute on “Life and Death,” the bends and dips in his phrasing, the music’s overall modal drift. That ambience is helped along by Cohen’s relationship with pianist Avishai, whom he’s played with since they were both 12. The intimacy of their playing recalls the relationship between Miles and pianist Bill Evans.